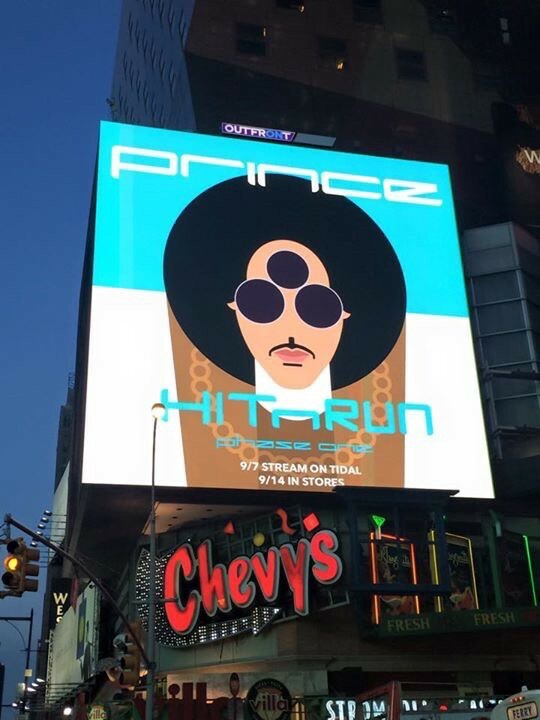 Despite enjoying a successful Creative career in the world of advertising, nothing quite compared (as the song goes) to the two years I spent making art with Prince. During that time we worked on a LOT of projects, with me creating artwork to accompany his music. 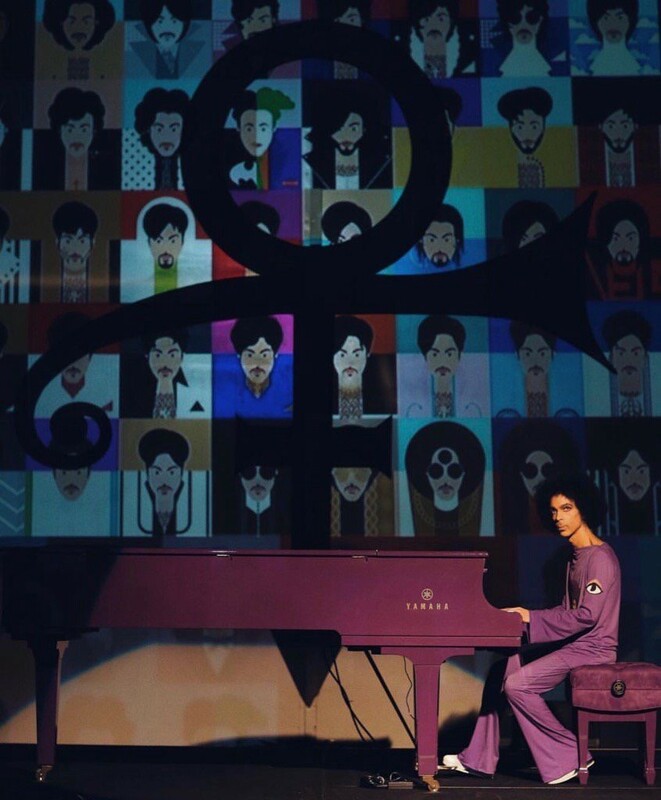 This included the cover art for two albums, HitnRun Phase One and Two; cover art for singles including Baltimore and Little Red Corvette / Dirty Mind Live; the avatars for him and his band on social media; backdrops and clothing for his Piano & a Microphone tour…as I say, there was a lot. And these are just some of the things that were released to the public. My time working for Prince was an incredible experience that shined a new light on life as a Creative person and taught me things I will never forget. In honour of these valuable lessons and Prince’s generosity in giving them—I felt it would be fitting to share what I learnt and how it’s impacted and improved my approach to Creativity. Firstly, there are lots of things that can prevent Creativity from even starting. One of the biggest is fear. It can be daunting looking at a blank page and having an idea inside you that you want to magically fill that page. Connected to this is the paralysing thought that ideas should be perfectly formed from the moment they leave your head and roll onto the page. And even the thought your work will never be as perfect as you’d like, no matter how hard you work at it. And finally, there’s time. So many people have ideas that they don’t get out into the world because they don’t believe they have the time. But you do. You have as much time in the day as Prince, in fact. And look at the Creativity that poured from him. Actually, I had all of these barriers to an idea I had a long time ago, which was to depict a portrait of Prince, one for every year he was in the music industry. I called it ‘The many faces of Prince.’ And I carried this idea for a long time, worried I’ll never get it right and I certainly didn’t think I had the time. But I realised that I always woke early, ready to take on the day — too early when it came to weekends. And there I found my opportunity. I dedicated that time to commit to this project. I threw myself into it and eliminated the fear by actually taking it on. And the excitement of learning something new and making something kept up my energy. I was only part way through the project when Prince saw it and liked what I was doing (but that’s another story for another time). He actually started to buy the rights to the work before I’d even finished the project. This gave me more energy and focus to finish the idea. And maybe even not worry that I never got the chance to perfect it. Maybe there was something about the idea being a little rougher and rawer that appealed to him. A bit like when we sometimes love the live recording of a song, a bit more than the more polished studio version. Overcoming my fears and blockers was key to me finishing that first project and ultimately working with Prince — and continuing that relationship for a couple of years. His Creativity and expression of his art was always fearless. A young black male performing in an outfit comprising of high heels, stockings, underwear and a trench coat…in a place like Minneapolis…in the late 70’s and early 80’s is the very definition of fearless. Something I only appreciated when I visited over 30 years later. And it still would have been fearless to do it in 2015. But it didn’t stop there, his fearless streak was evident throughout his whole career. He created what he felt, rather than pander to a record label or chase commercial success. And so much of what he created was of the moment. His philosophy seemed to be: make it, get it out, learn and move on to something new. The important thing is what you create makes you happy and you grow as a Creative person. The Creativity of Prince had no boundaries. It never did. In the beginning, he started learning music by playing piano. And then took that skill and applied it to playing guitar. Then the bass and so on. Until he mastered them all. By the time he was in his teens, he was doing everything. 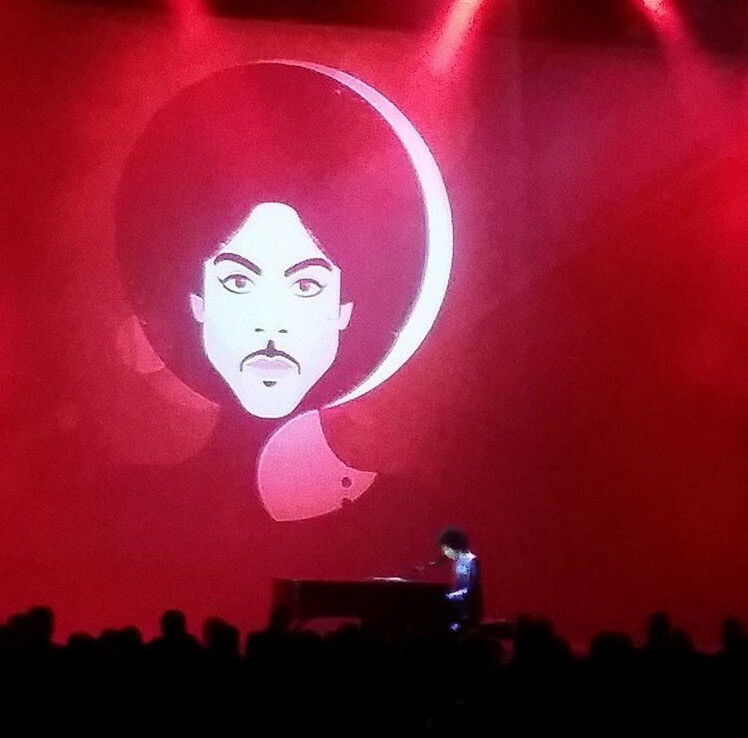 The credits on his music were nearly always ‘produced, composed and arranged by Prince’. He’d taken that approach into the studio too. This doesn’t mean that we are all super-human Creatives who can do everything. But when you work with Prince, he connects you with those other possibilities to see what you can do. To find your boundaries and push them so you can do things you never thought possible. You hear this from many of those who worked with him — often asking his photographers to make his music videos, for example. Always blurring the boundaries between different Creative disciplines. It was a similar story for me. My style of illustration was very much using simple geometric shapes. That’s what I was exploring in learning how to illustrate. I was already pushing myself. But when ideas surfaced that didn’t use that method, I felt empowered to try and make them anyway. One of those pieces was an idea I had for an image called ‘Moonfro.’ Prince was using a lot of moon iconography at the time and also had a growing, almost perfectly circular, afro. I decided to use his profile and the moon together to create a silhouette-style portrait of a crescent moon. My usual style of using shapes wouldn’t work for this idea, so it had to be painted. Not something I usually do, but I tried it anyway. Prince loved the image so much he asked for a 20ft version to be used in his studios, Paisley Park. The original image I painted was only about A3 size. So this involved me painting a bigger version. Again, I thought why not? 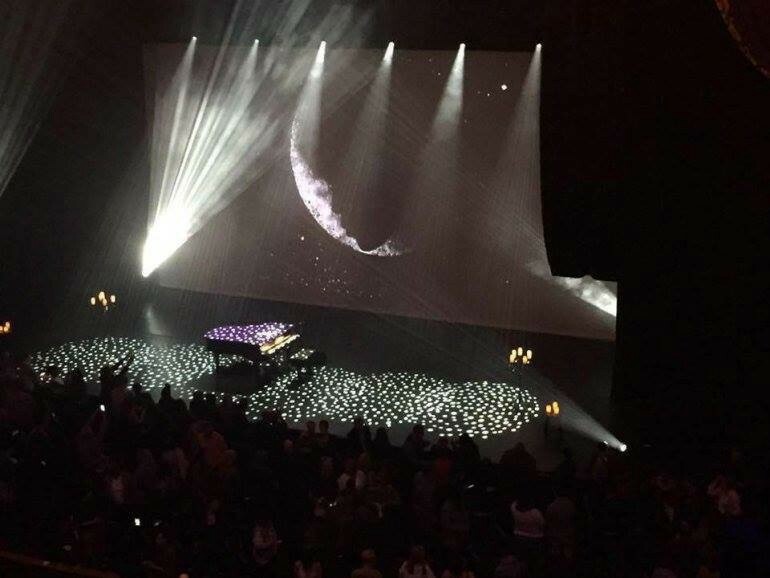 The bigger version now hangs in the sound stage of his studios and was also used as the backdrop to his last tour, Piano & a Microphone. You don’t have to do everything. And you can’t be great at everything (unless you’re Prince.) It’s also always good to know that you can collaborate with others that can do things you can’t. But I think one of the joys of being Creative is to be curious and learn new things. And to do that, you have to take a why not? approach. It’s easy to say no to things. But then you could be preventing wonderful things happening. If you try, you may find you’re capable of more than you thought. And if you don’t succeed, you learnt something and had fun anyway. This revelation was perhaps one of the strongest things I felt when I was at his studio. And something that I never really considered before. But having the right environment to foster Creativity is such an important factor in making great work and being happy doing it. 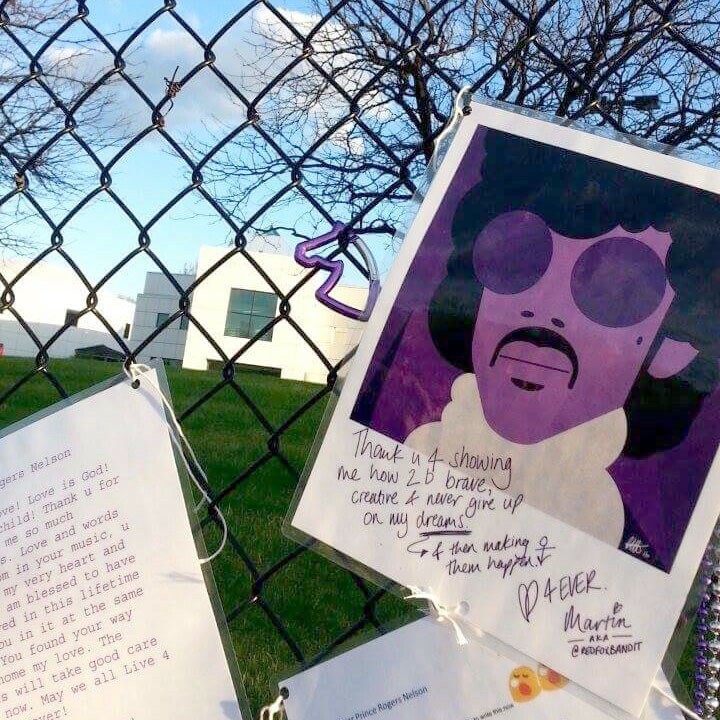 My first time visiting Prince’s studios, Paisley Park – in Minneapolis, was a surreal experience. The only way I can describe it is there is magic in the air. And I mean actual magic. You can reach out and touch it. This isn’t just because you’re acutely aware that this is Prince’s home of Creativity and where he made so much amazing music. But there’s an electricity and energy about the place. Anything can happen at Paisley Park and usually does. 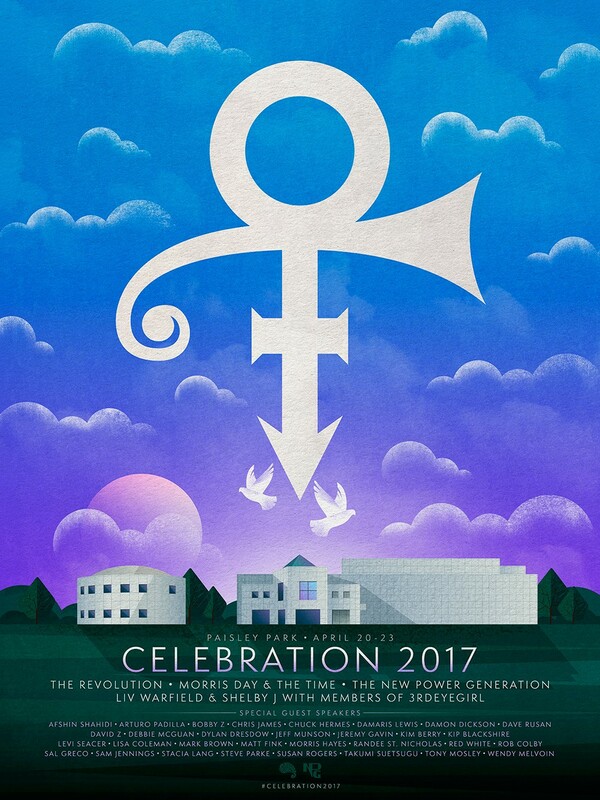 Prince would feed off of the energy when other people were at Paisley Park and use this to give truly unique performances and magical memories for those lucky enough to be there. Prince spoke a lot about positivity and, of course, wrote a song about it too. And it’s something that’s so important in the Creative process. You need to foster an environment that gives you the right energy to go and create. A playground for your mind. For Prince, this was a huge studio complex full of everything he would ever need. For me, this is about having my own space that’s full of things that inspire me. A place where I can dream, play and create without boundaries. If you’re going to create something, your mind needs a space to play. It needs a place where you can have fun and enjoy what you do. If you’re not enjoying what you do, start with where you’re doing it. Make it your own. Seal the door. Play loud music. Lie on the floor. Cover the room in your favourite posters. Make it smell of lavender. Whatever makes you feel like anything is possible will result in ‘anything is possible’ thinking. So, find your time, make that first mark on the page and get it out of your head and into the world. Create your perfect place and space. Enjoy the process. Embrace that Creativity is messy, not always perfectly formed and sometimes the ideas end up in a different place than where they started. When you do, who knows what will happen to your ideas? In short, be more Prince.